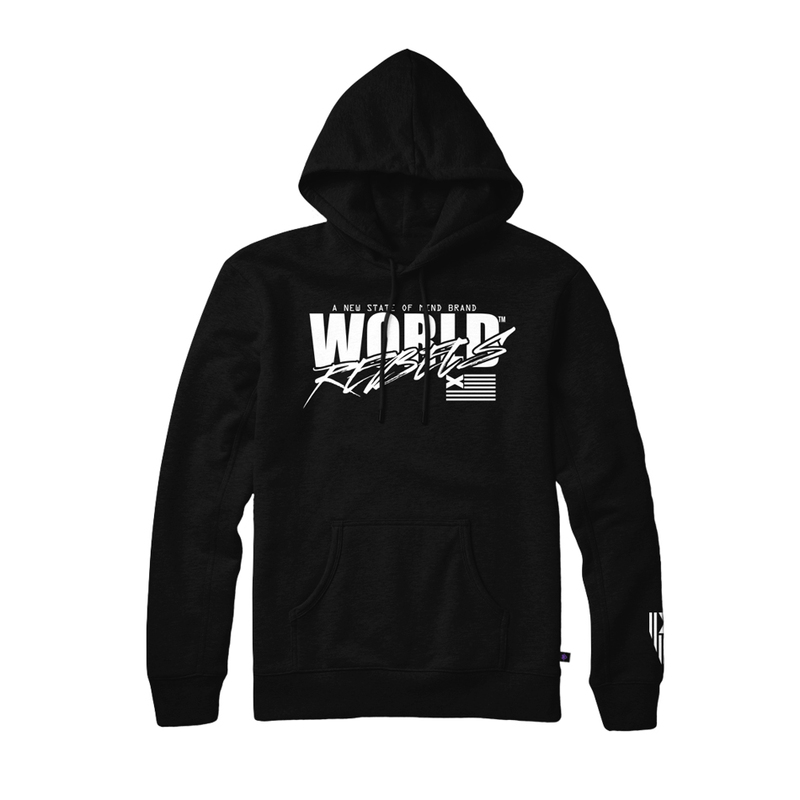 “World Rebels™ Classic logo pull over hoodie. Printed on an loose fit, 80% cotton, 20% Poly Fleece hoodie, and contains custom woven sizing label and hem labels. The World Rebels™ classic logo pullover in black contains a simplistic center chest print of the World Rebels classic text logo, and the World Rebels™ political flag on the left sleeve, with woven sizing label and mascot hem label on the hood.